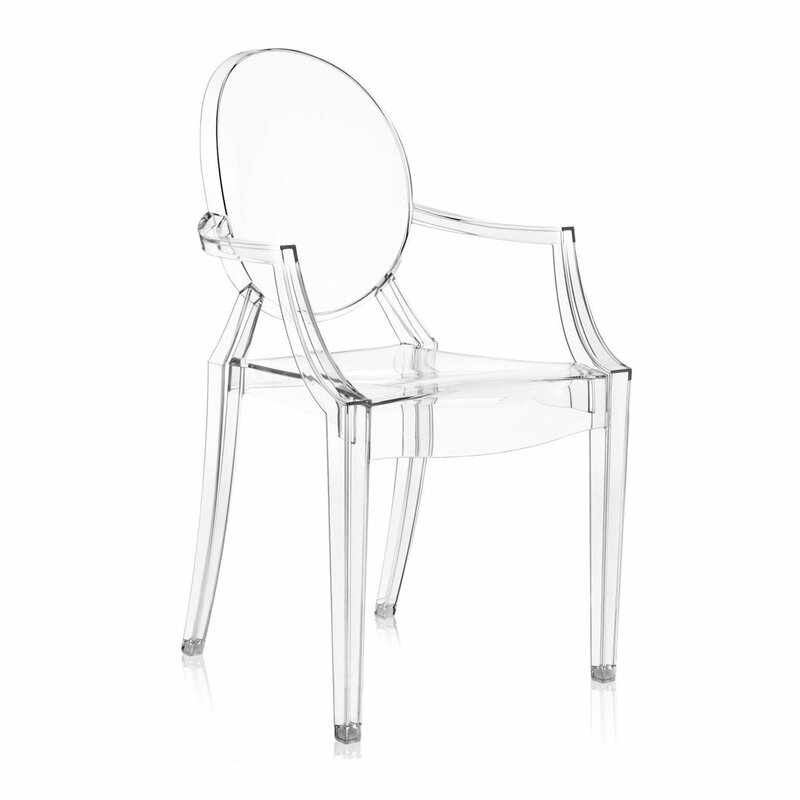 The Kartell Louis Ghost Armchair was designed by Philippe Starck to combine baroque Louis XV style with the latest manufacturing technologies. With an intricate form created by polycarbonate formed in a single mold, the result is comfortable, dazzling, captivating and exciting. Despite its evanescent and crystalline appearance, Louis Ghost is stable and durable, scratch and weather resistant.